When I started the CG method back in 2009, there was little to no information available. 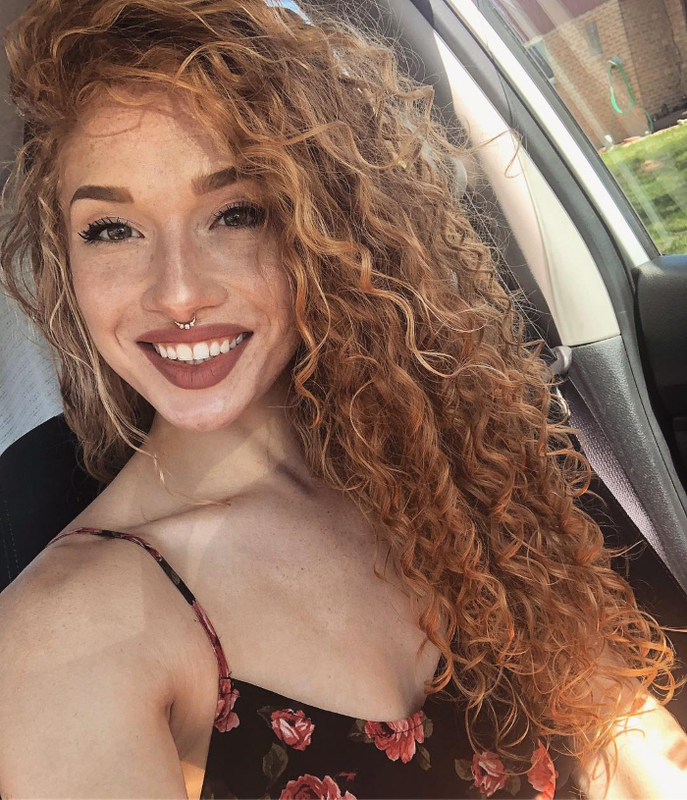 Starting the Curly Girl (CG) Method was the best personal decision I had made for my hair. I used to hate my type 2 waves because they were frizzy and dry. Now my hair grows at a faster rate and it is much longer, shinier and overall healthier. I live in Europe, so there were no products available that were compatible with the CG method, though over the years that has changed. But no matter where you live, starting the CG method can be overwhelming. I hope this guide will make your introduction to the CG method easier! I included product suggestions and options whether you want to save or splurge, and included a few European products for those who might need them. Sulfates are very harsh detergents that make your curls dry and frizzy. Sulfates are necessary for eliminating product build-up caused by non-water soluble silicones, which are polymers that wrap the hair making it appear shinier and helping in detangling. Some curlies choose to eliminate sulfates completely, while others use them as little as possible for clarifying washes. Silicones can be found in many detangling and styling products because they can provide shine and slip, however applying silicones to your hair frequently can lead to buildup that requires sulfates to be removed. This means that if you are avoiding sulfates, you will also need to ditch silicones. For a full list of the good, the bad and the worst silicones, read here. Depending on the condition of your hair--thickness, density and curl pattern--you may decide to ditch all detergents and just use conditioner to cleanse your hair. This is also known as the co-wash method. The other cleansing option is to continue to use gentle, sulfate free shampoos. The key is experimenting and finding out what your hair likes. Wash your hair every time you feel the need--whenever it is dry, whenever it is tangled, or whenever you want to refresh your wash-and-go. If you co-wash, remember to massage your scalp at least 2 to 3 minutes to really allow the conditioner to work and lift dirt from your scalp. 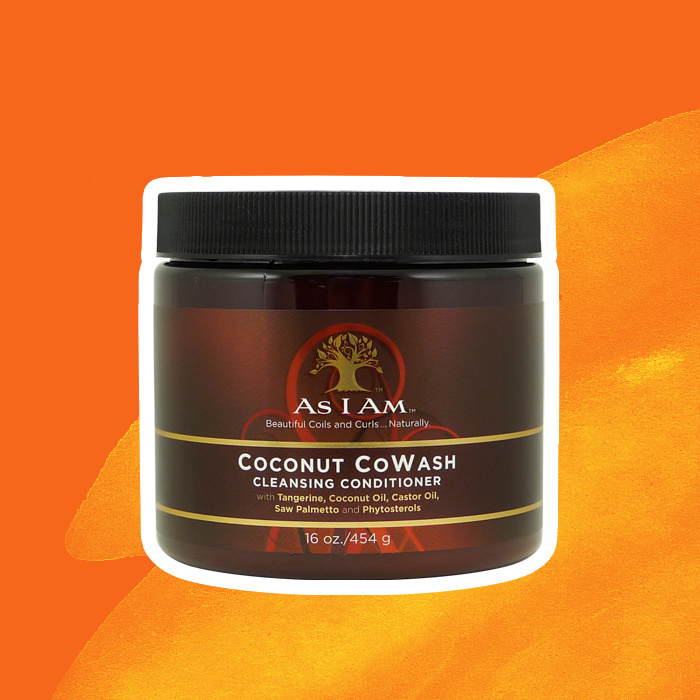 As I Am Coconut Cowash ($9.00) works like a charm and it is packed with amazing ingredients to stimulate hair growth. 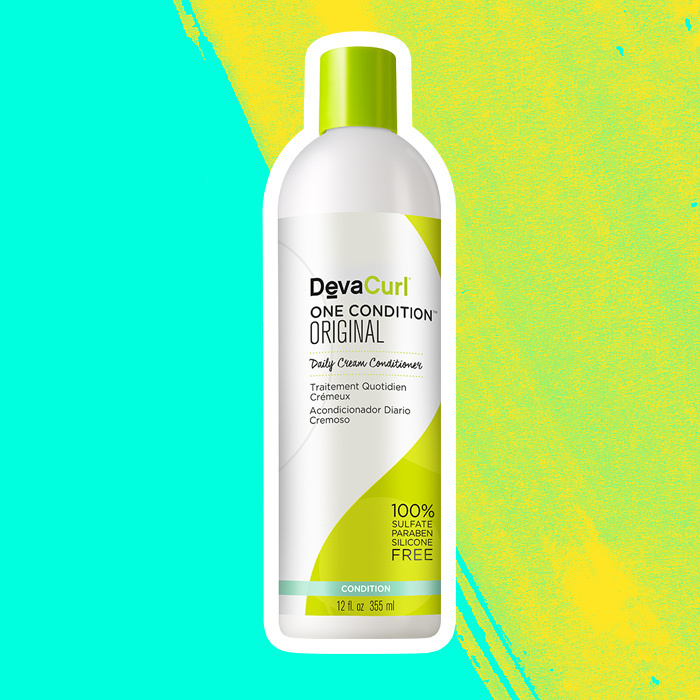 DevaCurl No Poo ($22.00) is a CG must-have. Suave Essentials Tropical Coconut ($1.89) is cheap, effective, and has a divine smell. 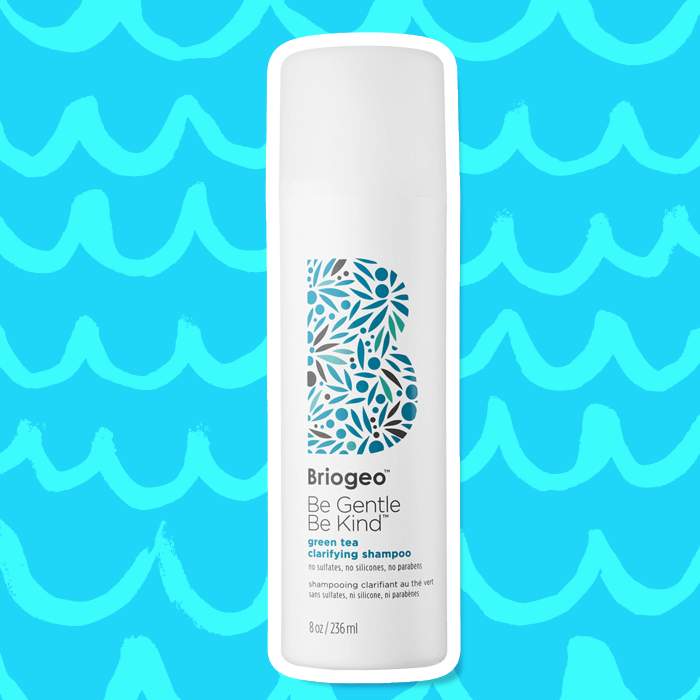 Briogeo Be Gentle Be Kind Green Tea Shampoo ($24.00) is perfect for every curl texture! Full of natural ingredients that will actually do something! SheaMoisture Jamaican Black Castor Oil Strengthen, Grow & Restore Shampoo ($12.19) uses only a tiny amount that goes a long way--it’s so moisturizing, too. BONUS European options: Splend’Or Balsamo al Cocco to co-wash (it’s a worldwide holy grail) and the Garnier Fructis Pure Clean Fortifying Conditioner. All of the Lavera shampoos work well, too. The best opportunity to detangle your hair is while you're conditioning. The key is to find a conditioner that is moisturizing, not heavy and has a lot of slip. If you are co-washing, you don’t need to use a conditioner afterward, but if you are using mild detergents, this step is a must. DevaCurl One Condition ($44) is hands down my favorite conditioner, ever! Jessicurl Too Shea Extra Moisturizing Conditioner ($49.95) --when they say moisturizing, they mean it. Oyin Handmade Honey Hemp Conditioner ($22.99) softens, moisturizes--and smells delicious. SheaMoisture Manuka Honey & Mafura Oil Intensive Hydration Conditioner ($9.99) for intense moisture and a divine smell. GVP Conditioning Balm ($12.95) is comparable to Matrix Biolage and is a holy grail for many curly girls. BONUS European Options: Lush Veganese Conditioner or Lavera Rose Milk Repairing Conditioner. You must deep condition your curly hair regularly. It will keep your hair shiny, nourished and strong. I usually deep condition in place of normal conditioner every time I wash my hair because I like the added benefits of a mask, but most naturals use them once every 3 washes or so, or once a month. The best thing you can do is to use them with some sort of heat (hooded attachment, hooded dryer, steamer, a bonnet). 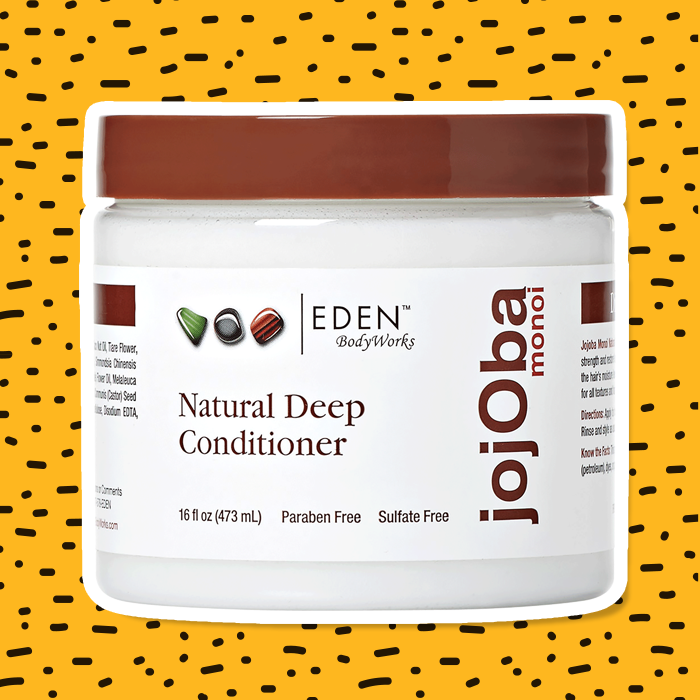 Eden BodyWorks Jojoba Monoi Deep Conditioner ($9.99) contains everything you need for softer, stronger curls. Briogeo Don’t Despair, Repair Deep Conditioning Mask ($36.00) is the best mask. Point! BONUS European Options: L’Oreal VIVE Nutri Gloss Intensive Shine Mask (in the pink jar) or Lavera Rose Milk Hair Repair Mask. Styling is (in my opinion) the most important step in the whole routine. In my experience every strand should be generously covered with a styling product, or else you will experience a lot of frizz. There are a lot of methods curly girls use to apply their favorite styler--my favorite is the Rake & Shake method or Scrunching technique. DevaCare Arc AnGEL ($27.44) It has a really nice hold, smells like lemonade and it always gives good second day hair. Jessicurl Spiralicious Styling Gel ($16.95) gives a lot of definition and controls the volume. L.A. Sport Look Gel ($8.33) an old tried and true classic product, and so affordable! Refreshing your hair after sleeping on it is a vital step for curly hair that has lost its shape. Normally the styling products reactivate themselves once you have slightly dampened your hair. Plop with a T-shirt or diffuse and scrunch for more curl definition. Jessicurl Awe Inspiraling Spray ($16.95) is gentle, light, and gives your curl their bounce back. Wash, condition, and repeat. It will probably take your hair a couple of weeks to adjust to the new routine. Realistically, you can expect to see your natural curls looking limp and lifeless before they really start to really blossom. Do not quit the CG Method, your best curls will be here soon enough. Welcome to this new world of beautiful naturally curly hair!